The most loved member of The Guernsey Cow community was, and still is, Willie Minor. 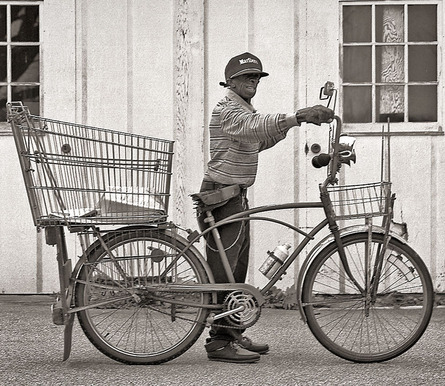 “Our Willie” is remembered for his bicycle outfitted with horns, lights, fenders, racks, flags, and baskets heavily laden with old newspapers and many spools of string pieces knotted together with such precision that there were no ends sticking out. Even now, Willie continues this pastime where he lives in a loving home near Coatesville. The local postman provides the string for Willie. 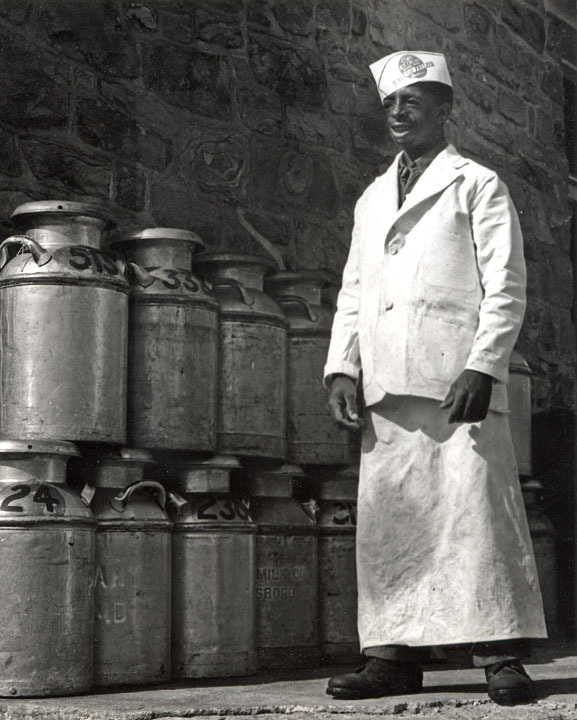 Willie lived at The Guernsey Cow restaurant where he was employed from the early 1940s until 1994. 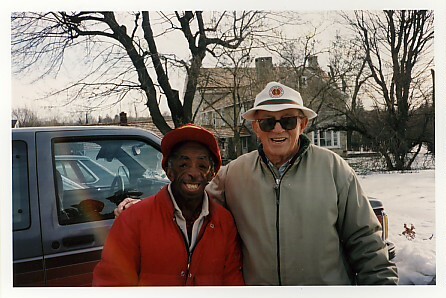 Willie could have been dubbed Exton Ambassador for all the smiles he brought to everyone who knew him as he helped Larry and Pep make ice cream and cream caramels, washed dishes, and mowed the lawns that surrounded the restaurant and the Polite home, Sleepy Hollow Hall. When he was not working he frequented locations that are just memories for Exton long-timers. Willie welcomed and conversed with folks at the Exton Drive-In Theater, a gas station on Route 100, the Downingtown Farmers Market, and Felix’s Farm Market. Larry and Willie had a remarkable relationship. They enjoyed many hours in Larry’s truck running errands and working in their vegetable garden. Mrs. Polite liked to call it “Larry’s garden,” but family members knew it was primarily Willie’s back-breaking effort and so called it “Willie’s garden”. At harvest time, they would deliver tomatoes, string beans, and sweet corn to friends in the area. Willie became a sounding board for Larry who confided in him during the many hours they shared.